The 3300/1 Minimal Displacement’s size and weight make it ideal for research and investigation tasks. 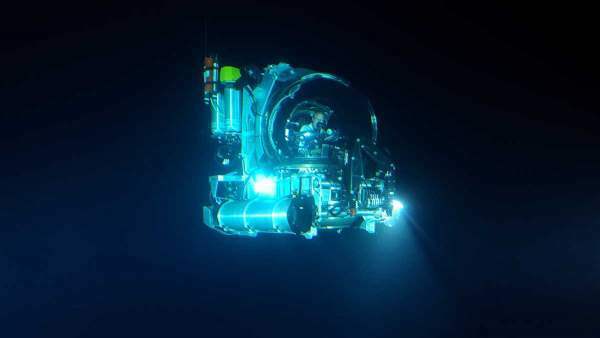 The submersible can be used to discover and analyse scientific and archaeological objects on the seabed, or to perform support tasks beyond the capabilities of a diver or ROV. The Triton 3300/1 MD is a highly versatile submersible. It is ideally suited to support operations where its power, manoeuverability and generous payload enable it to perform tasks that would typically require a tethered ROV. The Triton 3300/1 MD’s modular construction offers great mission flexibility and allows for rapid re-configuration between dives and tasks. Interchangeable tooling frames make the installation of specialized equipment skids simple, fast and straight-forward. Triton offers mission-specific equipment load-outs designed and optimised for use with your Triton 3300/1 MD submersible.